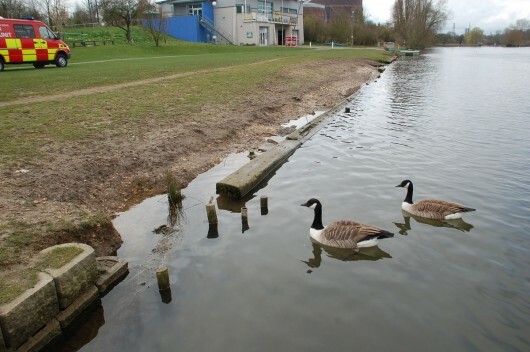 Wokingham Waterside Centre is a unique, riverside, water sport and conference venue set on a picturesque stretch of the river Thames in Berkshire but in urgent need of river bank protection. 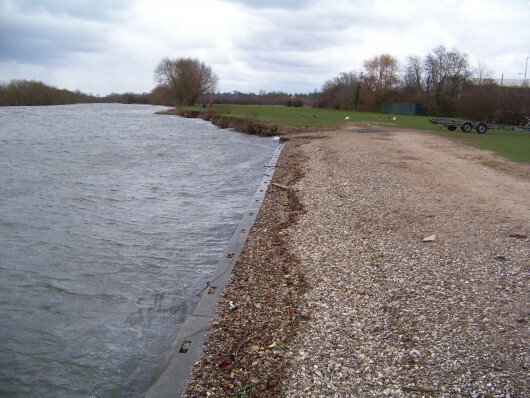 The retained river bank frontage serves as a busy boat and canoe-launching site requiring river bank protection due to a combination of wave action, foot traffic and wildfowl. 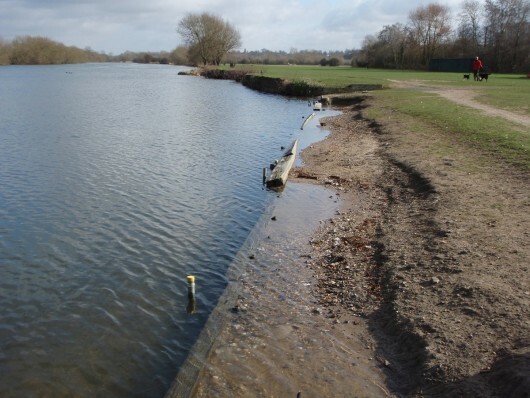 We were asked to provide a design proposal and installation costing by Thames Valley Business Park which led to the complete overhaul and reconstruction of the 60 metre long canoe-launching facility. 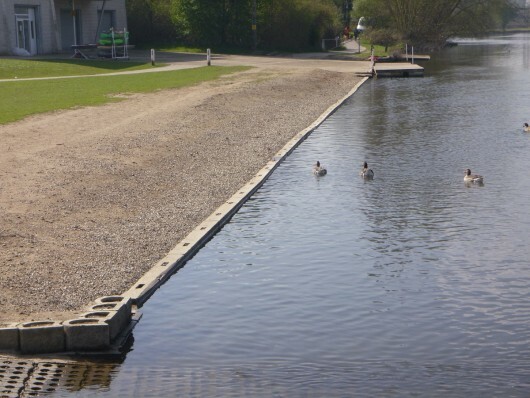 Water depth off the front face of the new baulk timbers needed to be sufficiently deep (30cm) to enable the easy launching of canoes and competitive rowing craft, but shallow enough to allow safe wading for all age groups. The baulk timbers were subsequently custom built to meet this requirement. The upper set of images shows the new installation immediately after construction and the lower set after 18 months with the baulk timbers at water level following high winter flows. After: Upstream view of new timber bank protection on completion. After: Downstream view after 18 months of hard use.